AT the foot of the Mahendragiri hills on the western ghats and on the banks of the river Nambiyaru lies the large and prosperous village of Tirukkrungudi. In the Varaha Purana the Lord speaks of His sojourn in this holy village. Thus this place derives its name Kurungudi the smaller abode of Narayana.The temple at Tirukkurungudi is dedicated to Lord Nambi, called Sundara Paripurnam in Sanskrit and Nambi Narayan in Hindi. On the hills close by stands a small temple dedicated to Lord Nambi called Malai Nambi with a panoramic view of the village below. This hill is called Nambi Malai (Nambi Hill). 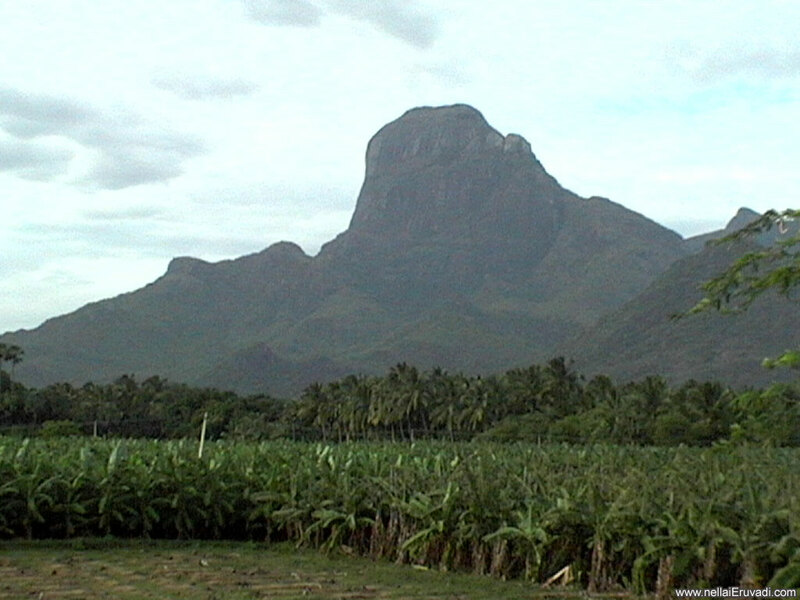 Tirukkurungudi lies west of Eruvadi. These photos are the hills and the water tank of Tirukkurungudi.